Fine carpets are a work of art. They are often the centerpiece of your home design. With time carpets tend to wear out and become marred through everyday use due to many reasons. 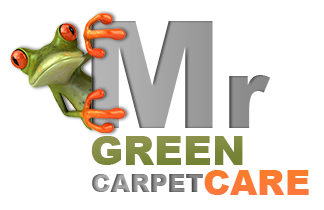 Mr. Green Carpet Care is proud to offer a complete array of rug repair and restoration services in New York. It takes years to learn the methods and special work needed to repair and restore rugs to near new condition. Our trained technicians and highly experienced craftsmen can carry out any type of rug repair ranging from stain treatment to complete color restoration, reweaving and rebuilding. Blocking and Sizing: If the tension in the rug’s base strings was not properly adjusted when the rug was woven, the edges and corners of the rug can start to curl. Even rugs that are not tightly woven can curl. Due to the rug coming into contact with water which causes some fibers to shrink. “Blocking and Sizing” is a process where we wet, stretch and pin the rug to a holed platform, then turbo dries the rug by blowing air through the holes. This process ensures the rug fibers are drying evenly and becoming more tightly bound. Fringe Repair: A fringe is a foundation strand. Each tassel on the and of the rug is a strand that runs from one end of the rug to the other, appearing as tassels at either end. Most rugs have white fringe tassels made of cotton; others have silk or wool tassels. If rug fringes are damaged, it needs to be fixed right away. Fringe damage is the first sign of deterioration since fringes are the foundation fiber of the rug. If untreated, the pile becomes loose and unwinds. Fringes and worn tassels can be replaced or restored by securing the rug and attaching new fringes or tassels to the base. Binding and Side Repair: “Binding” is composed of the side cords that hold the sides, end points and knots of a rug together or the end-point of the weave. When binding becomes loose, it affects the shape and in time cause knots to open. Re-warping, stitching or securing the existing binding is required in order to ensure the rug is secure. Low Pile and Bald Spots: Low pile is a problem that occurs over time, resulting in exposure of the rug’s foundation. Although low pile creates an aged look and shows character, if the area in which the rug is worn is large, it can create a massive damage. The process of low pile repair includes unknotting and re-knotting of the rug using new wool. Field Repair – Rips, Tears, Holes, and Moth Damage: Holes and tears can be caused by water rot, high traffic, pets, furniture friction & moths. When it comes to moths, the damage is not visible at first as the damage starts from the back (the knot is being eaten first). If left untreated, the foundation fibers fracture. We strengthen the damaged area by using “embroidery stitching”: a technique where the wrap threads are replaced with the same type of fiber and the rug is reweaved back to the tension and style that characterized the rug. If the damage is too great, patching will be needed. Odors, Stains & Color Bleeding – Stains, Discoloring, and musty odors can be caused by fading, color run, spills like food or drinks, and pet urine that was not treated in time. Color bleeding is caused due to low-quality dyes or poor rinsing of the fibers prior to weaving. This can be treated by using textile dye. A soak overnight and a complete wash will remove odors completely and might treat stains as well. In some cases where the color of the fibers was damaged and changed, a color restoration process will restore the look of the damaged area. It is better to repair your rug as early as possible in order to protect it. Even the most highly damaged rugs can be repaired before any further damage is done. Our rug repair services are fitted to all types of fibers rugs. 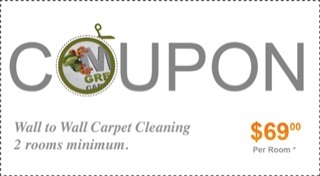 We offer wool rug repair, silk rug repair, cotton rug repair and more. We offer rug restoration services in Manhattan, Brooklyn, Queens, Staten Island and the Bronx, all NYC area. Rug Repair oriental rugs, shag rugs, contemporary rugs, antique rugs, stairs runners and hall runners, handmade rugs and machine-made area rugs, woven rugs, Tibetan rugs, Persian rugs, Chinese rugs, Navajo rugs, Turkish rugs and Flokati rugs. If you have a type of rug not listed here, please ask. We will might be able to restore it, too. We are a rug cleaning, repair, and restoration company that will greatly improve the condition of your damaged rug and make it look beautiful again. Call us today for a free quote 1-877-444-6364.